Who is Team Beachbody and Team Live Fit? We are a network of 400,000 independent coaches across the United States and Canada who are the CEOs of our own on-line fitness and nutritional businesses. We recommend top-selling Beachbody fitness and nutritional programs, like P90X, Insanity, TurboFire, PiYo, T25, The 21-Day Fix and Shakeology to people who want to get healthier. We also mentor others to have their own fitness businesses. In doing so, we achieve physical and financial fitness! In one sentence, coaches change lives. 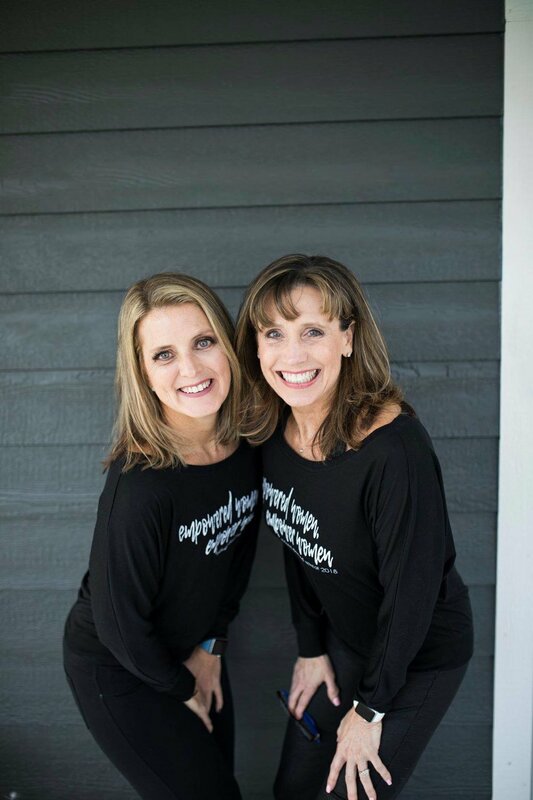 Jane Westreich and Libby Burkhalter are co-founders of Team Live Fit. Jane is a wife, mom of 4 and Fitness Professional. Libby is a wife and mom of 2 and a Personal Trainer. They have partnered together with Beachbody to provide solutions for personal fitness and nutrition needs of women all around the globe. Together they founded Team Live Fit to help women live better, get fit and feel fantastic in their own skin. Empowering women, empower women! 1. We help customers and clients lose weight, find confidence, get off medications, be part of a healthy community to improve their nutrition and get moving with fitness. We work with people we already know, we meet new people through social media or community connections. 2. We help people who want a better financial future open their own fitness business. We become amazing leaders in the fitness industry through a lot of personal development and mentoring. We offer an incredible mastermind team that provides training and support. We offer four levels of training to help our new coaches start and grow with confidence. We offer our coaches on-the-job training with a lot of support. We teach you the nuts and bolts of how to be successful. On a daily basis, coaches connect people to the right products and then help them achieve their goals through accountability and support, mostly in our private fitness apps or private Facebook groups. Team Live Fit is community of like minded people that have a passion for living life to it’s fullest. We are advocates for health and fitness and inspire others to lead a healthy lifestyle. Team Live Fit is composed of teachers, nurses, dietitians, physical therapists, pharmacists, personal trainers, group exercise instructors, moms, fitness enthusiasts and those just wanting to lead a healthy lifestyle. We support one another on our fitness journey, growing a successful business and developing our full potential as an individual and business owner. If you would like to consider a position on my coaching team, fill out this form and let’s connect. I created TEAM LIVE FIT to pay it forward to the amazing journey of a healthy lifestyle. This is a community of like minded people who are passionate about health and fitness. We are advocates of wellness. Through our own transformations we want to help others live their best life. It has helped me get in great shape and live a healthy lifestyle. I have met so many new friends and love being part of an incredible team. These friendships and mentorships have changed my life in a positive way. Instead of being a lone ranger in the fitness industry I now have an incredible mastermind team. Together we share our best practices, ideas and support one another in business and life. I truly love helping others and providing accountability and support on their journey to be healthy and fit. Earning money and being successful financially by doing what you love is a total win! My journey as a coach has allowed me financial freedom, time freedom and personal freedom to pursue a life I love. Coaching is about showing others the way. It’s about doing something for yourself by helping others. On Team Live Fit there is no “type” of coach. We are people with a strong passion to make the world a more positive place and get people in better health. Sometimes we just need the right vehicle to achieve our goals. Perhaps Team Live Fit is that vehicle for you! Connect with me and let's visit about your opportunity to be the CEO of your own business and life!